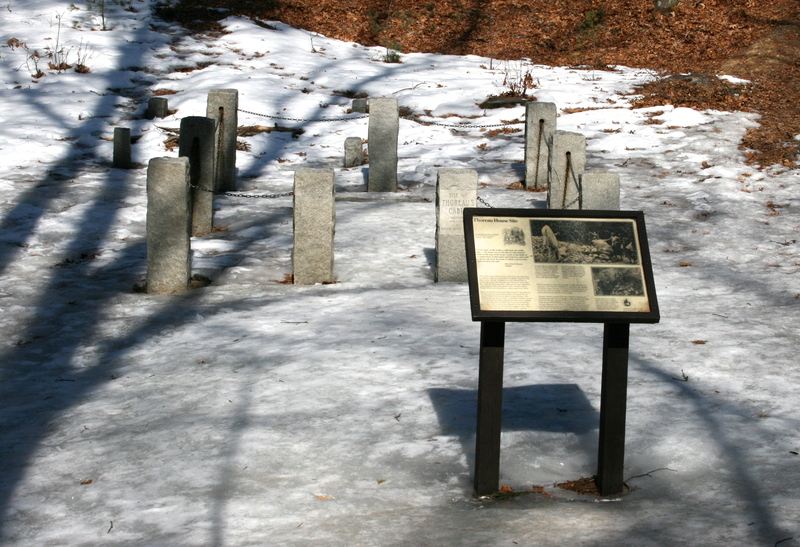 Walden Pond, the most famous small lake in the United States, rests among low hills just two miles south of Concord, Massachusetts. Walden is pretty enough in its own right but celebrated mostly as the site of Henry David Thoreau’s two-year residence (1845-47) in a rustic hut near the pond’s south shore. I’ve wanted to visit this place ever since I first read Thoreau’s iconic book, Walden, during my teens. Somehow I never got around to making the trip. My reasons were the usual suspects: managing a career, raising a family, not having time to visit Boston. I also held off because I worried that the reality of Walden could never live up to my images from Walden. I’d read in magazine articles that the lake is now part of Walden State Park—a “multi-purpose natural resource area”—which immediately conjured images of backed-up traffic, crowds of tourists, and no chance for even a moment’s peace. Late this past winter, though, Edith and I took a chance and visited the pond. Our trip fell mid-week in late March. That time of year is still winter in Massachusetts, and this past winter has been harsh throughout the Northeast. Edith and I hoped that the time of year would work to our advantage: fewer people than usual would be visiting this shrine to the iconic philosopher, poet, and patron saint of America’s environmental movement. So, on a frigid, windy morning, we left Waltham, west of Boston, where Edith had been working with some executives, and we drove the short distance to Concord. We arrived to find the lake still mostly frozen and the shore completely deserted. Enormous plates of ice—probably five or six inches thick—covered almost the entire surface of the water. Close to the shore itself, smaller slabs of ice floated close together, most of them still fitting like the pieces of a puzzle. The strangest aspect of this scene wasn’t visual but auditory: bizarre grunt- and groan-like noises reaching us from across the pond. These sounded almost as if some kind of huge lake-dwelling creature—a Loch Ness-like monster? !—were calling out from under the ice. As we listened, however, Edith figured out the source of these eerie groans. The large plates of ice, shoved by the wind, were bumping into one another. The impact of ice against ice created the beastly noises. But even as we moved on, we found it difficult not to imagine the pond as a living creature. 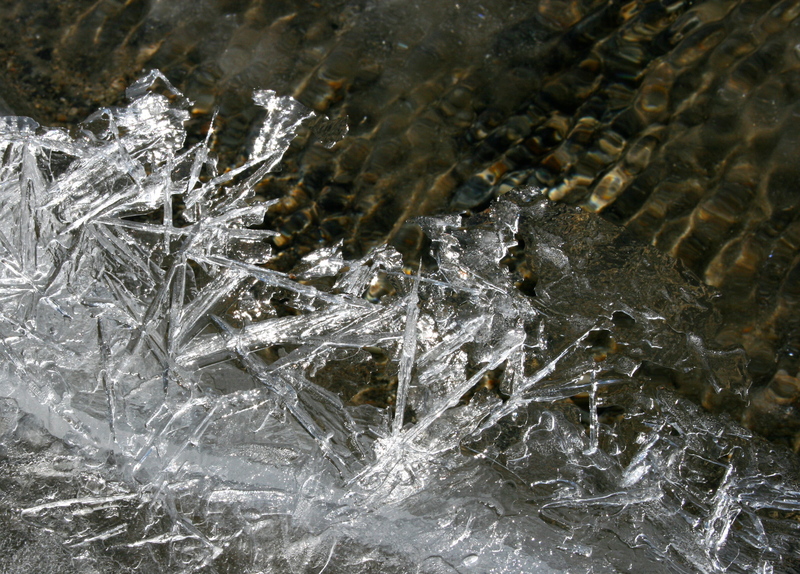 The ice right along the shore was much more delicate . . . and silent. After a half-mile walk, we reached Thoreau’s Cove, the inlet in the pond’s shoreline where Henry fished, read, and pondered the universe. 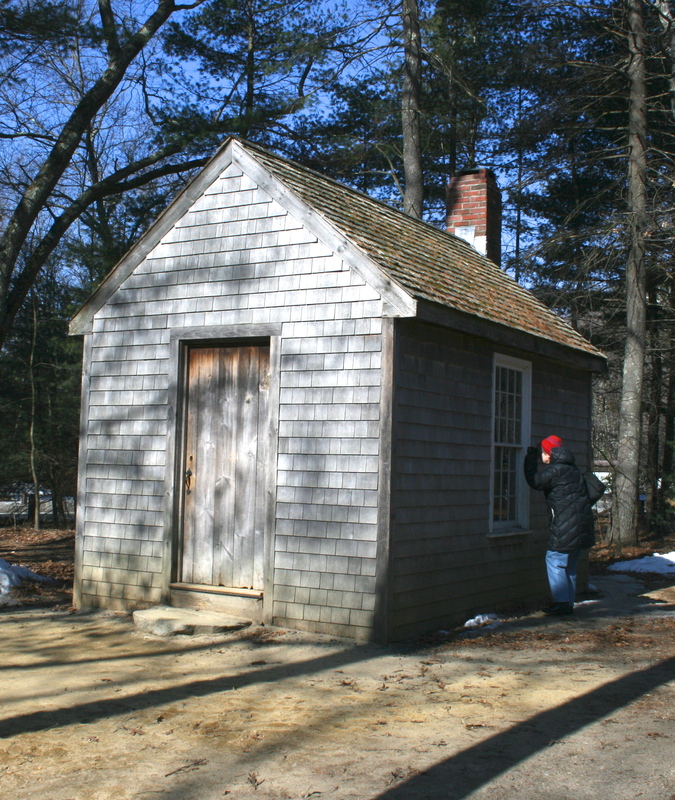 Later, following a leisurely walk back to the main beach, Edith and I visited a replica of Thoreau’s hut that The Thoreau Society has constructed near the parking lot. Inside we saw a wood stove, a firewood box, a cot, a desk, and two chairs. This spartan realm is where Henry pursued his studies, received occasional visitors, slept, ate, read, and wrote the first draft of Walden. The entire living space is about the size of a medium-sized utility shed. Writing about the lake and its setting in his book, Thoreau states that “The scenery of Walden is on a humble scale, and, though very beautiful, does not approach to grandeur.” True on all counts. Edith and I both felt delighted to be there—and, by sheer luck, to have the lake, the shore, and Thoreau’s old stomping grounds to ourselves for two chilly, windy, exhilarating hours. This entry was posted in Environmental Rants & Raves, Land and Wildlife by Ed @ Montemayor. Bookmark the permalink. Bravo, Ed. 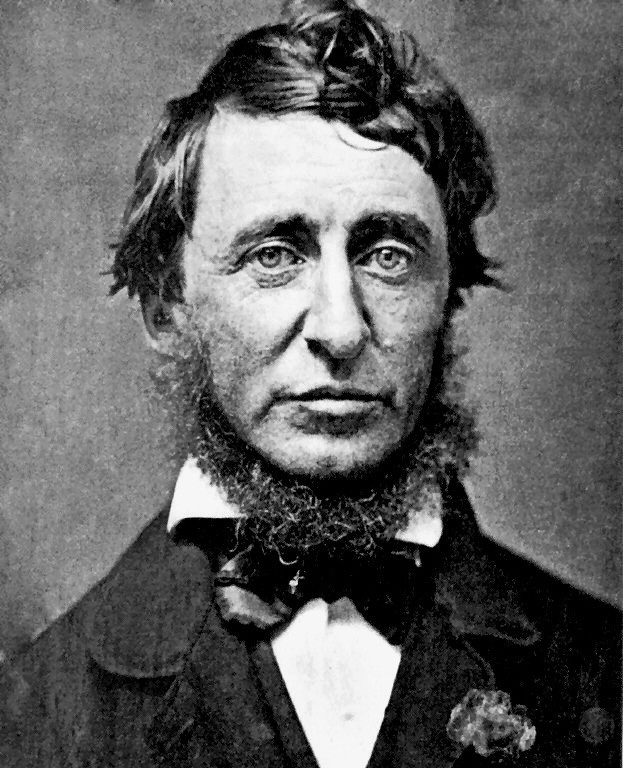 I believe you are a kindred spirit to Mr. Thoreau. Didn’t you write one of your books in a similar setting? Hey there, Anita– Yes, makes sense on both counts. Kind of like the Piazza San Marco at high season: way too crowded but still beautiful. Back to you soon– E.